How to care for your silk duvet. 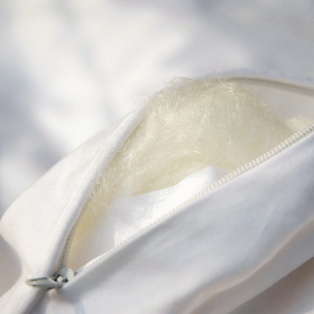 Silksleep duvets are made using only the finest quality long-fibre mulberry silk. Because of this they are less susceptible to bacteria and the cleaning requirements are far less than those of a conventional duvet. Professional clean only For larger stains we recommend a professional cleaner who understands silk. This is because silk fibre is susceptible to high heat and domestic washing machines could damage the fibres.